John Lennon’s death occurred outside the Dakota apartment building on West 72nd Street, Manhattan, New York. John Lennon was shot four times in the back by Mark David Chapman at 23:00 on the night of 8th December 1980, Lennon was 40 years old. Police rushed him to the nearest hospital which happened to be St Luke’s Roosevelt Hospital Center where he passed away with more than 80% blood loss. Yoko Ono, John Lennon’s wife, was by his side. Chapman pleaded guilty to the murder of John Lennon and is still currently serving a life sentence in Attica Correctional Facility, New York for the killing. According to Chapman, he had voices in his head instructing him to kill the former Beatles star and musician. A campaign against gun violence was launched to mark the anniversary of John Lennon’s death in the United States by his widow Yono Oko. 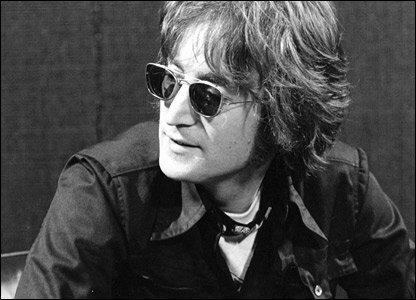 Over the years many famous people have given personal tributes to the former Beatles songwriter John Lennon. “I Just Shot John Lennon” was a song wrote by the Cranberries from their “To The Faithful Departed” CD. U2 brought out a live DVD called “Live From Boston” which has a version of their song “Bullet The Blue Sky” on it describing Lennons death. Other references in songs to the murder are sung by Marilyn Manson, The Chameleons, Eighteen Visions and Half Man Half Biscuit. Memorials and tributes are set up in different places around the world including New York’s Central Park where the “Stawberry Fields” garden area is located and also in the city of Liverpool where Lennon was born and raised. Fans gather together religiously on the 8th December every year at these locations and others to remember John Lennon’s death and perhaps more importantly, his life.